The New Year is a fresh start, a time to take simple steps to improving yourself. It can be as easy as introducing pure, wholesome, and nutritious ingredients into your diet. 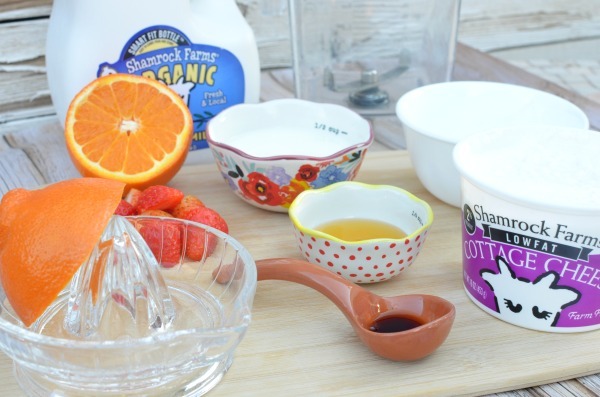 Think of new ways to use common kitchen staples like: Shamrock Farms cottage cheese and organic milk. 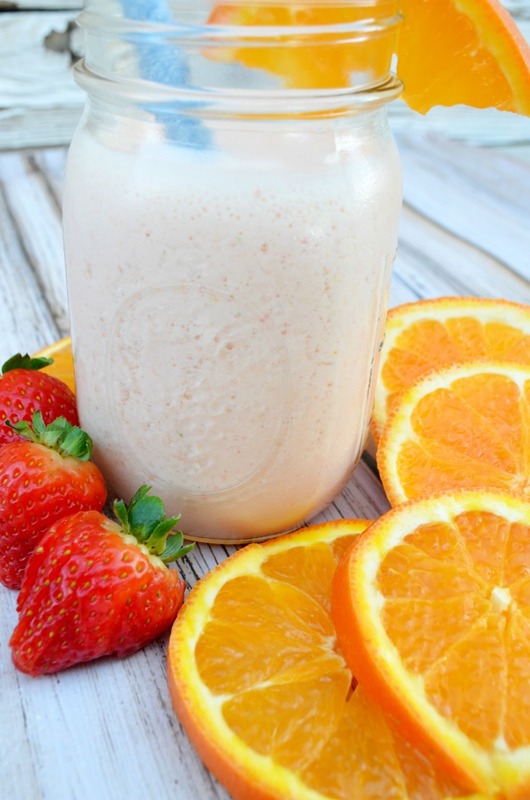 This Orange Creamsicle Protein Smoothie uses both mixed with fresh fruit and natural sweeteners. 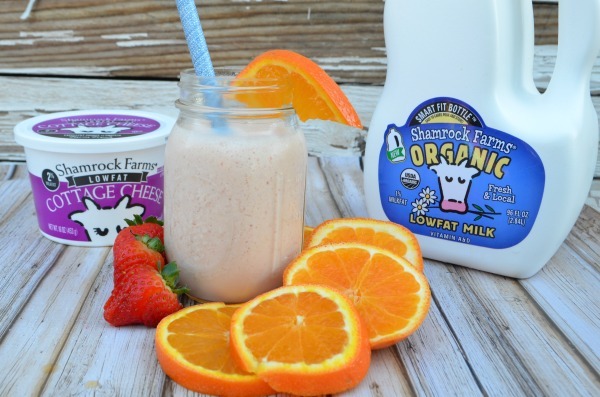 Shamrock Farms milk is packed with 8 g of protein and 9 essentials nutrients in every serving. Add in cottage cheese for an extra creamy smoothie with an additional 13 grams of protein per serving that’s low in carbs and high in bone building calcium. That’s a great foundation for a nutritious AND delicious smoothie! The ingredients are simple and things you can find right in your local grocer’s produce aisle and dairy case. Add the ingredients to the blender in the order listed. Place your blender on smoothie mode or pulse until the ingredients start to mix and blend. Blend on high until smooth. 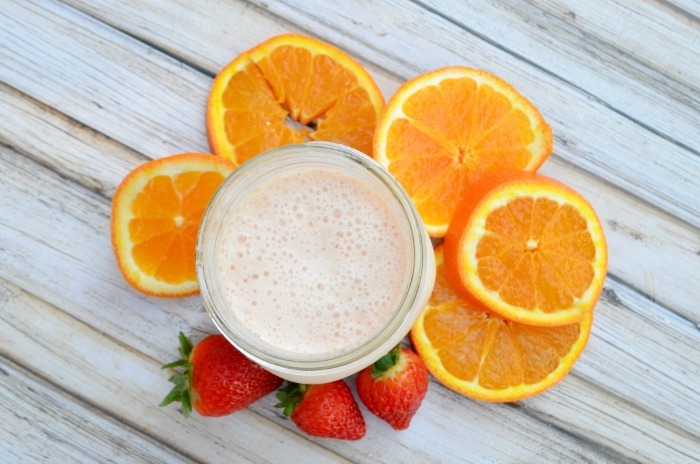 Serve in a cold mason jar with a thick straw and a slice of fresh orange. 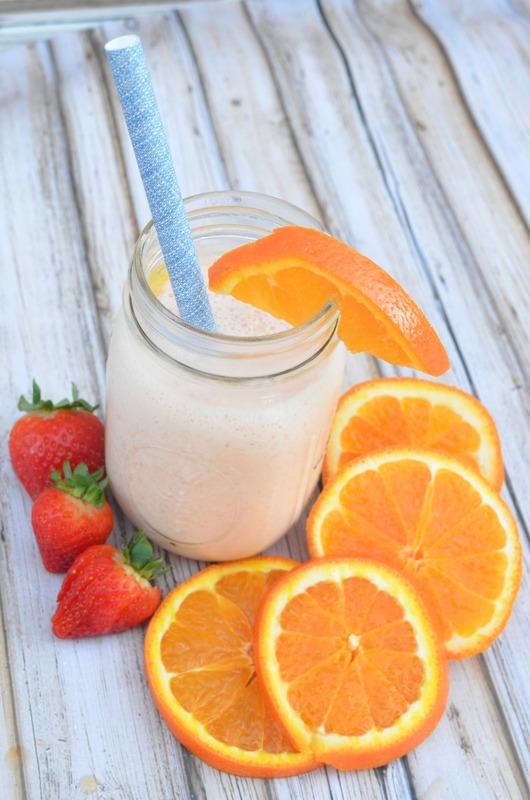 *for some extra fiber add the pulp of one orange before blending. 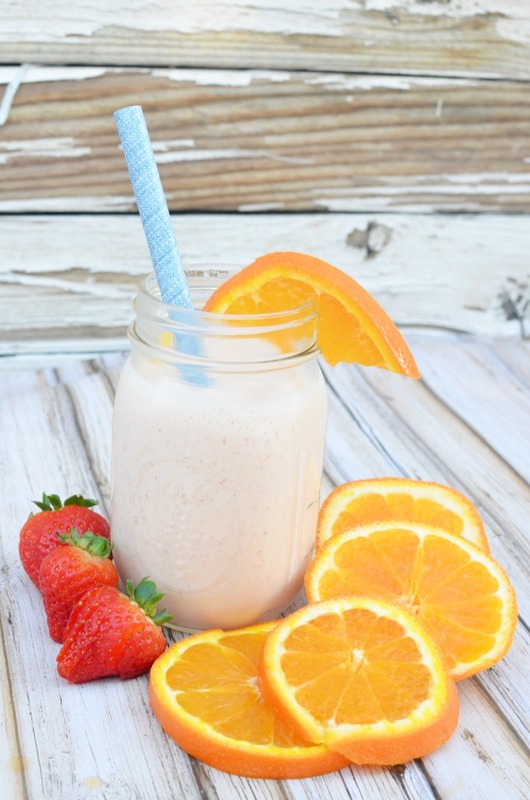 It thickens the smoothie a bit more and gives it an extra punch of orange flavor. Did you know? including 3 servings of fat-free or low-fat dairy a day have shown to help with weight loss and maintaining a healthy weight. Include these Shamrock Farms products as part of your daily routine, and get a great start to the New Year. 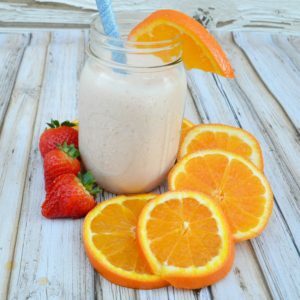 Try out this delicious orange creamsicle protein smoothie and jump start the journey to your goals! What New Year’s goals have you set, and how are you achieving them? YUM! I never tried cottage cheese in a smoothie but I bet it’s delicious.